For general inquiries, feedback, catering information, or for career opportunities. Be the first to know about new menu items by downloading our free app for your smartphone. Also receive exclusive discounts and promotions. If you were happy with your meal and our service please like us on Google or Facebook so that we can reach more people and promote our local business. Links to all of our social media pages can be found at the bottom of this page. To leave a Google review for us, please click the orange link below! Constructive Criticism? We need that too! 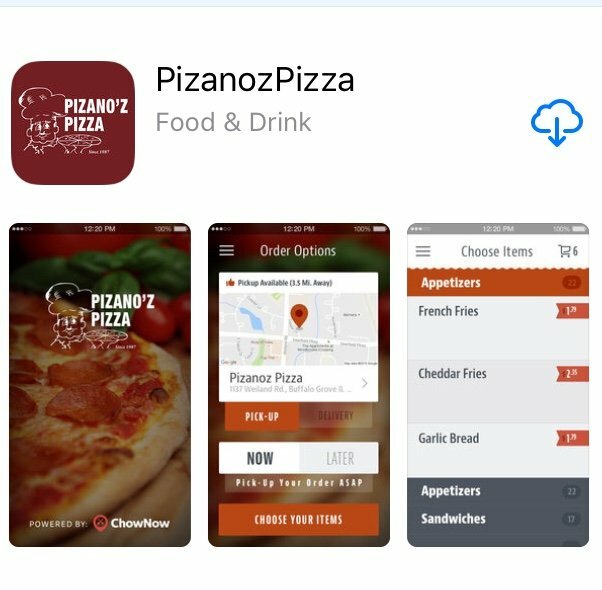 Please send us an email to “info@pizanozpizzabg.com” and let us know how we can be doing better. To stay competitive, we are always looking to improve our service and update our menu to provide consistently excellent meals for you, our valued customer. Look for new coupons and deals every month in SaveOn magazine. Also, save the coupons on your pizza box to receive 50% off on your 11th pizza when you collect 10 coupons!